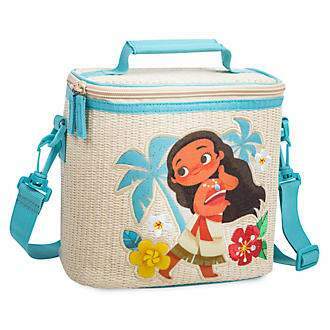 The summer holidays are flying by as usual so we’ll take a look at a few cool lunch boxes to suit a range of budgets and some good ideas for fuelling up our kids during the school day too. 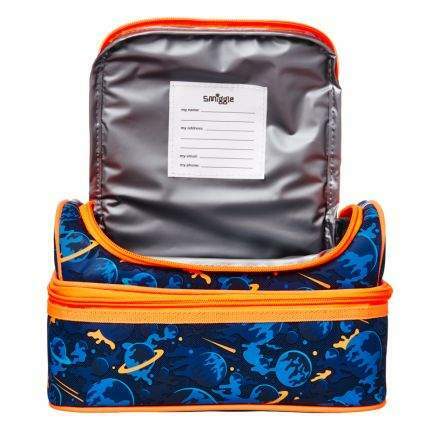 Smiggle have a fab range of lunch boxes and bags in store and online. This clever ‘double decker’ design keeps food items separate, £17.50. They are currently offering online customers 20% off if you sign up to their newsletter. See their full range here. Have a footie fan in the family? 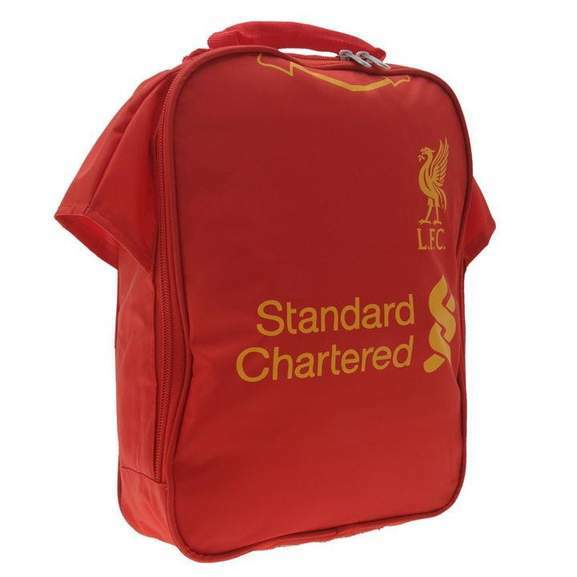 Head to Sports Direct for these football shirt design insulated lunch bags. Prices start from £6.50 and there are loads of different teams to choose from, check them all out here. 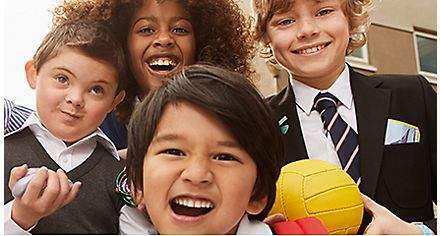 Argos have a large range in stock, which includes free click and collect from their stores. 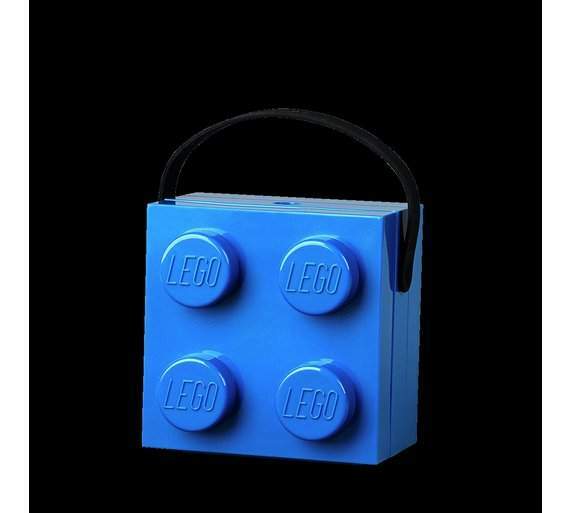 This lunchbox is bound to please any Lego fans out there, and it has been reduced to £10.99, see here. 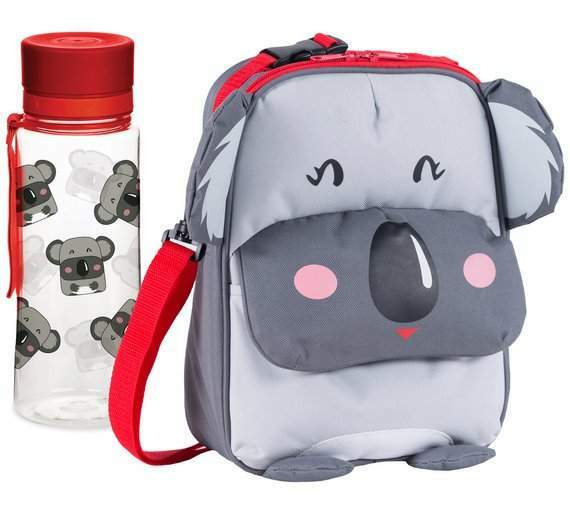 Also at Argos, you can save 20% on this cute Koala lunch pack which comes with a matching bottle, now only £15.99, check it out here. This Spiderman design is down to £5. See the full range on offer at the Disney Store‌ here. Older kids and teens might prefer to go for a more grown-up design so this Polar Gear lunch box cooler could appeal, £10 from Wilkos, here. 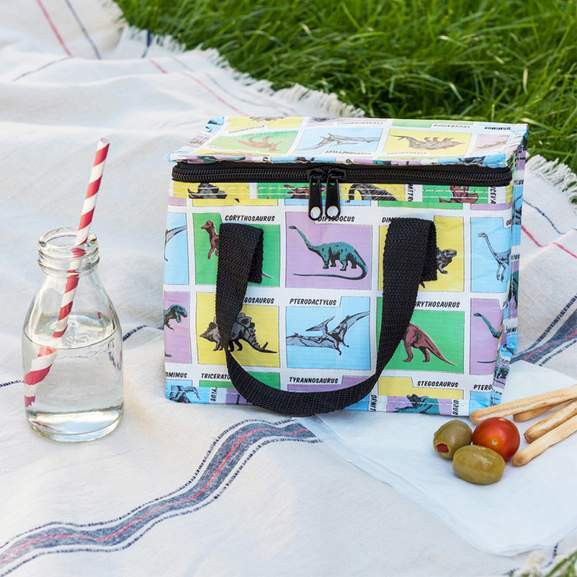 This fun dinosaur children's lunch bag from Rex London is handy for school lunches. Made from recycled plastic bottles and foil lined, it'll help to keep food fresh for longer. There are many other designs to choose from too and they’re all only £3.95 (+P&P), see here. 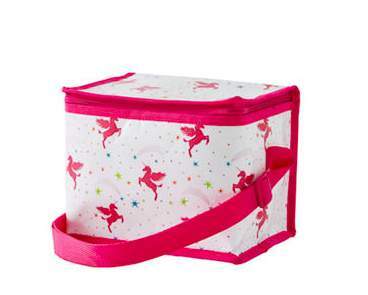 ASDA have a good range of lunch boxes and bags in their back-to-school range in store and online, with prices starting from just £2.50 for this unicorn lunch bag. See the full range here. 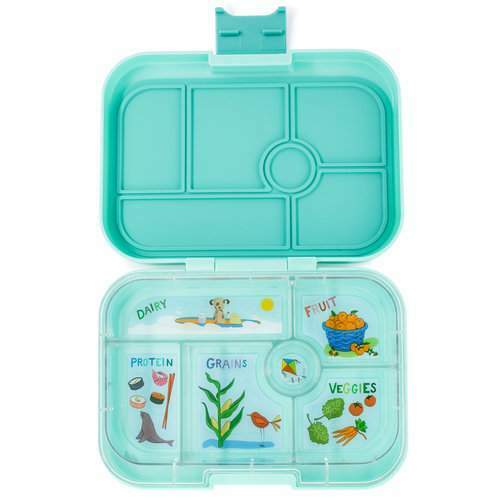 Yumbox have come up with a great idea that uses different compartments to help get a really balanced meal in the correct portions. 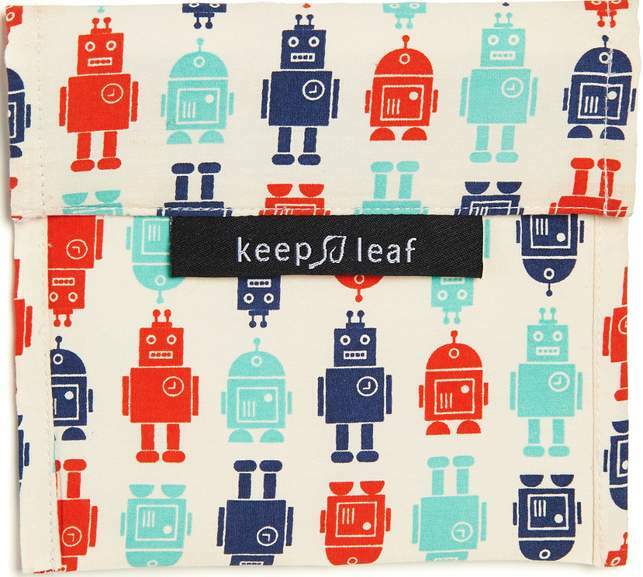 They come in a huge range of different colours and are made from sturdy BPA free plastic. 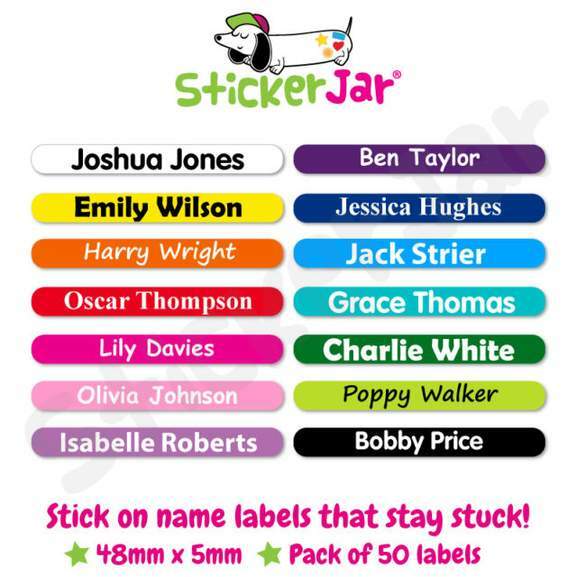 These can save you time as you won’t need to label them and they'll be easy to locate on the school trolley! 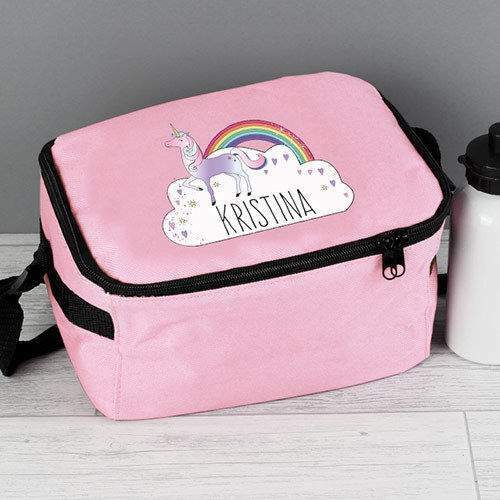 This unicorn design personalised and insulated bag is from Ebay, £12.99 with free P&P, check it out here. 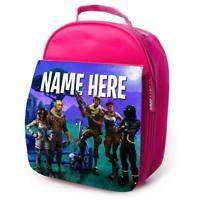 Your Fortnite fan will thank you for buying them this personalised lunch bag which is available in 5 different colours for £14.99 from Ebay and includes free standard delivery. Find it here. Tupperware style boxes are the obvious choice here as it helps to keep your child’s food from getting squashed. 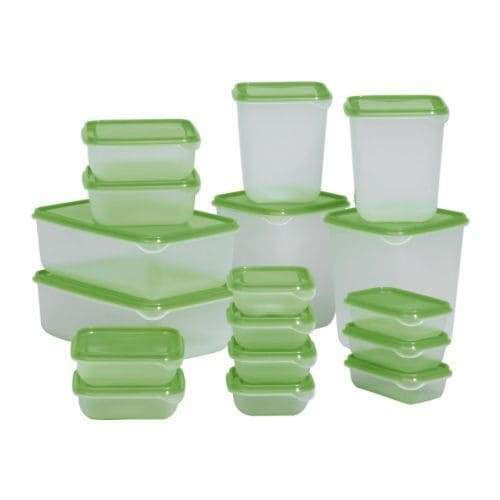 This 17 piece set from IKEA is really good value at only £4 and has loads of smaller tubs to keep fruit and other snacks fresh. Check it out here. 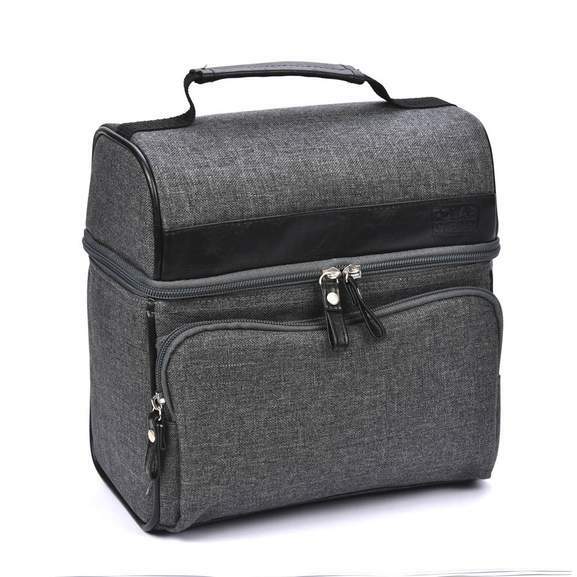 However, plastic boxes can take up valuable room in a small lunch box so the next thing to go for is bags. The easiest solution to this is to stock up on ziplock bags but the cost of these can mount up and they aren’t environmentally friendly. There are now reusable sandwich/wrap bags available which are washable and keep the food inside nice and fresh. These bags by Keep Leaf retail at £6 each which, when spread out over the year (or longer), become a really reasonably priced option. They have a Velcro closure, cotton exterior and are waterproof inside, they also come in a range of funky designs, like this one. 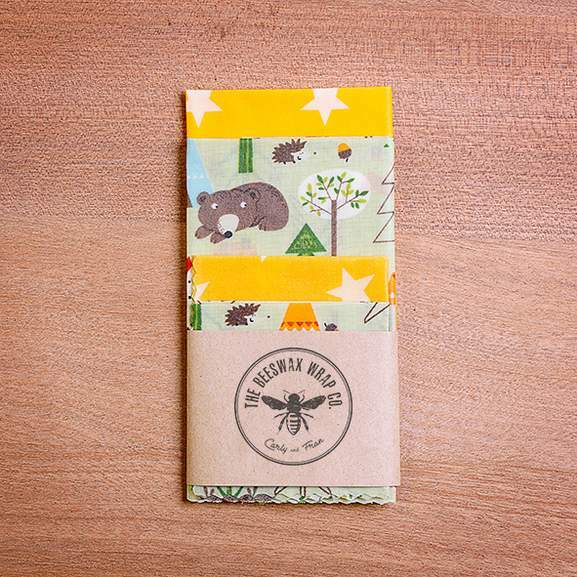 As an alternative to cling film, you could try reusable beeswax wraps. Sound a bit strange right? Actually they are very durable and you just need to wash with soap in cold water and hang to dry to keep them clean. 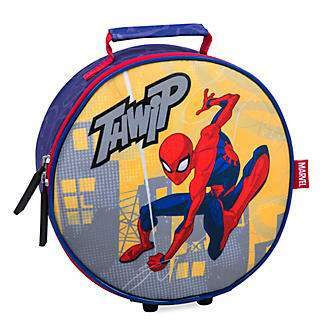 This kids pack contains 2 small and 2 medium sized wraps which are perfect for sandwiches and snacks. It costs £20 but they are currently offering a 10% discount if you sign up to their newsletter. See more here. Chances are someone else in your child’s school will have the same lunchbox so make sure to put their name on it and their drinks bottle. Try these waterproof, dishwasher, microwave and freezer safe labels on Ebay, 50 labels for £3.49 inc P&P. Kids getting bored of cheese or ham sarnies and you’re sick of making them? 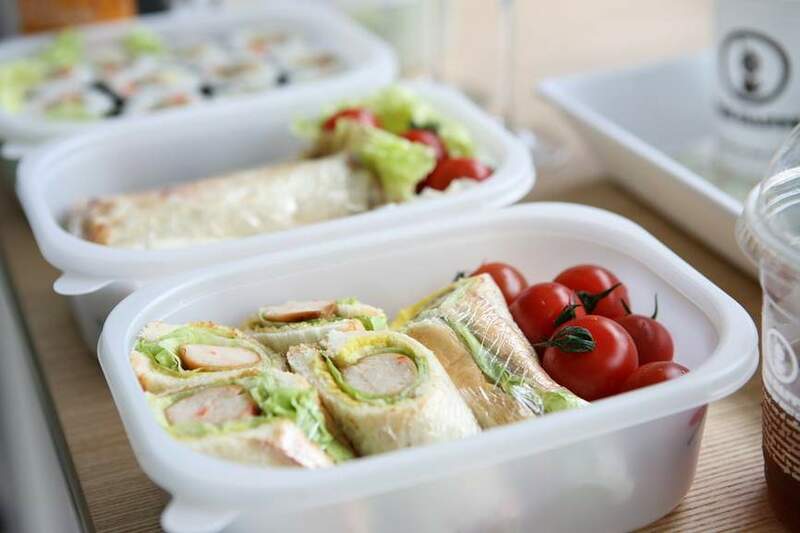 Take a look at these ideas which will hopefully brighten up their lunch box. Use flour or corn tortillas and wrap up their favourite filling, ham, cheese, tuna or even cold sausage with some salad stuffed in there too. Once rolled up, cut in half (or third, for smaller hands). Pasta, rice and cous cous salads make a good choice, especially if your kids aren’t big bread eaters. An easy kid-friendly recipe is to mix cooked rice, pasta or cous cous and mix with sweetcorn, chopped up cucumber or red pepper, halved cherry tomatoes or peas and mangetout. Then add flakes of tuna or chopped pieces of ham, turkey or chicken. It’s easy enough to buy a supermarket quiche but making them is simple and cheap too! Try this fab mini-quiche recipe from Netmums here. 2. Open a 375g pack of ready rolled puff pastry and cut in two. 3. Unroll each half onto 2 baking trays lined with baking parchment. 4. Use a 400g pack of sausage meat and divide in two. 5. Make each half of sausage meat into a cylinder shape and pace in the centre of each half of the pastry. 6. Roll the pastry tightly round the sausage meat and pinch it at the edges to avoid the sausage bursting out when baking. 7. Beat and egg and brush over the top of the pastry. 8. Bake for 25-35 mins in a pre-heated oven until the pastry has puffed up and the meat has cooked through. You can store in the fridge for up to 4 days. Potato cakes with cheese/cooked meats and salad. Corn tortillas with guacamole or other dips. Cheese or pate with crackers with slices of cucumber. Hummus and toasted pitta slices with vegetable crudités. School holidays days out guide. Cheap eating out guide for families in the school holidays. Will be making my own sausage rolls for the new school year thanks to this post. Such an easy method.....can't believe I've never thought of doing it before! Thanks OP, heat added. The lego one posted at 10.99 in argos is £8.99 in home bargains. Instore and online. Anyone have their kids in a school where the staff intervene and remove items from kids lunchbox that are deemed to be unhealthy? I read it a while ago.. can't remember where. Just curious if it's actually happened to anyone! Anyone have their kids in a school where the staff intervene and remove …Anyone have their kids in a school where the staff intervene and remove items from kids lunchbox that are deemed to be unhealthy? I read it a while ago.. can't remember where. Just curious if it's actually happened to anyone! Quite a sweeping statement which implies that 20% of all children in the UK are obese, but you did read it in a newspaper headline I'm guessing? They like to sensationalise things. The facts are that 1 in 5 children that participated in the measurement programme in year 6 in England were classified as obese according to their BMI in 2016/17. Yes, I'm sure it's all just NHS conspiracy and nitpicking children for the research, which has nothing to do with a lot of chubby-bum- bums in my kids' school. And all those wobbling adults we see on the streets just spawn out of the blue, not grow up on unhealthy eating habbits. Yes, I'm sure it's all just NHS conspiracy and nitpicking children for the …Yes, I'm sure it's all just NHS conspiracy and nitpicking children for the research, which has nothing to do with a lot of chubby-bum- bums in my kids' school. And all those wobbling adults we see on the streets just spawn out of the blue, not grow up on unhealthy eating habbits. No conspiracy. It was valid research though as I highlighted, not quite "all children in the UK". Not quite sure you should be admitting to looking at kids bums in a school. As for the adults. Obviously, overweight people exist. Doesn't mean everyone is overweight. No conspiracy. It was valid research though as I highlighted, not quite …No conspiracy. It was valid research though as I highlighted, not quite "all children in the UK".Not quite sure you should be admitting to looking at kids bums in a school. As for the adults. Obviously, overweight people exist. Doesn't mean everyone is overweight. Nowhere I said it is "all children in the UK", there's "1 in 5" in my post you quoted. Nowhere I said it is "all children in the UK", there's "1 in 5" in my post …Nowhere I said it is "all children in the UK", there's "1 in 5" in my post you quoted. You've sadly misinterpreted my comment. I'm fully aware what you said. "Puff pastry for lunch, I wonder why 1 in 5 British children are classified as obese... "
That statement implies that 1 in 5 of all British children are obese. Which as the source of the statistics show, is factually incorrect. My follow up response to you saying you referred to all UK children was in reference to your own original comment. As in, it doesn't mean 1 in 5 of all children are obese - which is what you implied. I used to think that research was rubbish, until I started picking up my kids from school. Most of the kids there are obese and the schoool has over 1600 children in it (it is one of the largest schools in Birmingham) and frankly it’s scary. You've sadly misinterpreted my comment. I'm fully aware what you said.You …You've sadly misinterpreted my comment. I'm fully aware what you said.You said:"Puff pastry for lunch, I wonder why 1 in 5 British children are classified as obese... "That statement implies that 1 in 5 of all British children are obese. Which as the source of the statistics show, is factually incorrect.My follow up response to you saying you referred to all UK children was in reference to your own original comment. As in, it doesn't mean 1 in 5 of all children are obese - which is what you implied. The source of the statistics shows that "obesity prevalence was more than twice as high in year 6 (20.0%)" making 1 in 5 children obese factually correct. The source of the statistics shows that "obesity prevalence was more than …The source of the statistics shows that "obesity prevalence was more than twice as high in year 6 (20.0%)" making 1 in 5 children obese factually correct. The statistics aren't being disputed. The broad statement of the person I quoted was. "1 in 5 British children are classified as obese" is factually incorrect. "1 in 5 children who participated in the study at a specific school age and specific part of the UK were classified as obese" is factually correct. Heat for effort and detail of post. The statistics aren't being disputed. The broad statement of the person I …The statistics aren't being disputed. The broad statement of the person I quoted was. "1 in 5 British children are classified as obese" is factually incorrect. "1 in 5 children who participated in the study at a specific school age and specific part of the UK were classified as obese" is factually correct. There's nothing pedantic about pointing out a simple mistake. The person I quoted obviously did not understand, so I corrected them. You also don't represent others opinions, just your own. So to say "we know" would be rather presumptuous to say the least. I have a wonderful life, thanks. Take it easy, Kewl Guy! Usual happenings nowadays,my sons school state that they MUST bring a healthy snack for break time but they sell 2 x white toast for 30p as an alternative....2 rounds of white bread soaked in butter,healthy right?!?!?! A 90 calorie low fat bar taken away and substituted for toast which will of been at least 250-300 calories with the butter!!! Also if they’d even dare to try and remove my sons pudding from his lunchbox there be trouble given as though if he was in dinners he’d be having cake and custard or alike from the school canteen anyway!